...fumble? Extend right fingers (both hands on the wheel) and voila or clutch down engage gear, clutch out focus on concentrating on the exit with one hand on the wheel.. I have had both paddles and buttons and the car is easier to drive with the buttons. Agreed a TIP is quicker than a manual in most situations. I think the original pdk switches push (change up) with your thumb and pull (change down) with the tips of your fingers (the same on both sides) was great ergonomic design, perhaps even better than the Tip switches, but lost out to the F1 inspired paddles. Manufacturers are moving away from manual primarily due to emissions - autos have better fuel consumption over the drive cycle because of how they can be calibrated. But the tip does not offer you manual gear changes. All you can do is request a gear change with an electronic button or switch. Its very different from moving a lever with your hand which is mechanically connected to gear selector forks and engaging / disengaging drive between the engine and box with your left foot. Not saying which is better or worse but an automatic box is not a manual. That's the point of it. I prefer an auto because over 40 years ago I owned a 4 speed 911 Sportomatic and taught myself to left foot brake in a corner - which combined with keeping the throttle pedal still when finding you are going too - was a method that simply pulled the car back into the corner instead of the rear end pivoting out as you lifted the throttle or moved your throttle foot over to the brake and transferred the weight to the rear which would then spin out. Only trouble is a tiptronic cuts the throttle when you touch the brake with your left foot - negating the benefit - although you can develop a quick blip of the throttle milli-seconds after touching the brake to keep the throttle open. Technically the torque delivered to the rear wheels (that accelerates the car) is proportional to the overall gear ratio - so if you have 5 speeds where you used to have 4 (or 6 where you used to have 5) with top gear similar in both - some of the ratios will have a lower ratio (higher ratio number) and regardless of the BHP being the same will deliver more torque to the rear wheels (and usually in the mid speed ranges where most people drive them). So a 6 speed manual should be faster flat out through the gears than a 5 speed tiptronic and in my experience - regardless of any published figures - that is the case. My own Gen 2 PDK has 7 speeds but 7th is really just an overdrive with the remaining 6 speeds very similar or the same as a manual - so 7th is just there for economy and I don't find much difference in performance except the PDK seems sharper. I have just bought a C4S with the F1 paddles, but interestingly it also has the buttons. I see in the picture yours only has paddles, which looks a lot less fussy. Can I just change the wheel airbag cover, or does it need a whole wheel change? Back to Porsche after 3 years with Aston. 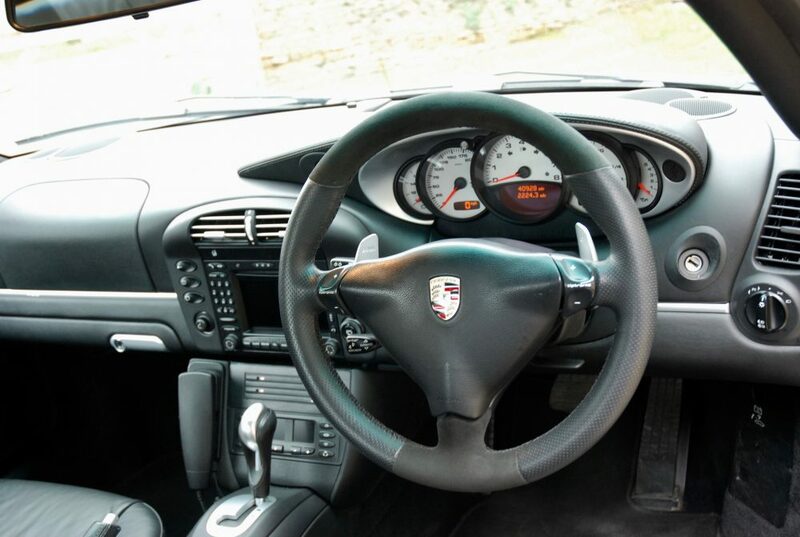 Now to drive and not to look at..
Trust me, any of the PlayStation generation coming to Porsche’s from say VW DSG stuff will be shocked at a Tiptronic. PDK, yep no issue. Tip though?? They’ll run a mile. I’m not here to bash Tiptronics though as every car is right for its respective owner, but to suggest a tip 911 may be equally or more sought after than a manual one day is wishful thinking I’m afraid. PDK vs manual, so 997 onwards well that could be a closer run thing. In defence of the old slush box tip, they are far better once warmed up, and particularly suit the characteristics of the turbo versions. I also agree with Ade, the tip buttons are great to use, especially when going for a quick overtake - just rock the button downwards and light the blue touch paper. I'm a little too old to be the playstation generation but this is the issue I have. I've had a few fast DSG equipped cars and that's really my minimum expectation from an auto. 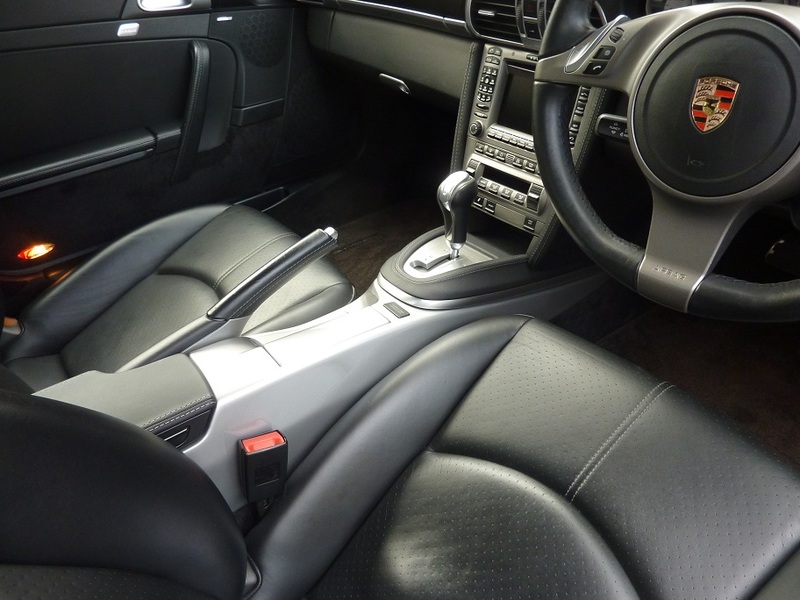 I haven't driven a tiptronic 911 but I have experienced the Mercedes version of the box in my mother in law's old car and it certainly didn't enhance the driving experience. Would love to try a tip 911 for comparison. Ive just bought my first auto/dsg etc car. Its a 2010 Audi S4, has sport mode and manual mode with wheel paddles. I have previously owned an almost identical car albeit manual. Day to day the stronic is better but having had a few long blasts in the highlands its far less engaging and involving than the manual was. Ive tried all modes and nothing feels like I had as much control as the manual. I bought it to try out and as its a daily car its fine however if it were my fun car Id be looking to probably sell it. When I jump back in the 996 its a joy to be stirring the box again. There is no doubt the tip/auto are faster and perfect for a daily but if its a fun road car then manual for me everytime.